Multi-instrumentalists always amaze me a bit. The idea of, not only being able to play a myriad of instruments, but also be able to play them all well is just incredible to me. Andrew Bird is one of those amazing artists. This is his seventh album (tenth if you count the "Bowl of Fire" releases, eleventh for the Norman soundtrack), but nothing about his work feels tired or overdone, which he's accomplished without much reinventing of his wheel. If anything, this feels somewhat more upbeat than past work. Not a huge or detrimental change, but still a very welcome one! Magnetic Fields probably have one of the most distinctive sounds in indie rock, one that would take about two second to recognize, even if your exposure to the band was minimal. The band and its members have been fairly prolific. They're last studio album was released in 2010 and lead singer Stephin Merritt released a solo record just last year. The most endearing thing about this band, for me, are the lyrics, kinda cheeky and descriptive, something they haven't managed to lose during their time together and certainly not here! Pond is the side project (though may have actually come before) of two of the four members of Tame Impala. They have a very similar sound, a psychedelic rock base. I generally dislike it when side projects don't veer much from the primary band's sound, but both acts are relatively new, so I welcome as much as that sound as they will create right now! One of my absolute favorite bands; I fell in love with Fort Nightly and, although it took me longer, It's Frightening. I had the chance to see them live back in December. At the time, I wasn't sure how I felt about their new songs, a trepidation that continued into my first couple of listens to Milk Famous. I think I've decided that I love it, though. It's garnered some well-deserved comparisons to Spoon (for me, it recalls Transference the most), but they manage to pull in that influence without sounding like a copy-cat of the band. The vocals don't hold the same strength as they did on the last two albums, but lyrically, they just keep getting better. I like where they are going with their sound! I'm not actually that familiar with Xiu Xiu's past work, I was going to see them during the MidPoint Music Festival, but the venue was full for them, so I missed out. I've never found the time to really check them out since, so this is my introduction (I say that a lot with some of the established bands I speak of here). Although I'm only a few songs in, I do like their sound. Their discography is daunting, though. Only ten years, and they've put out nine albums, one live album, one compilation and an EP...that's a lot to catch up on! 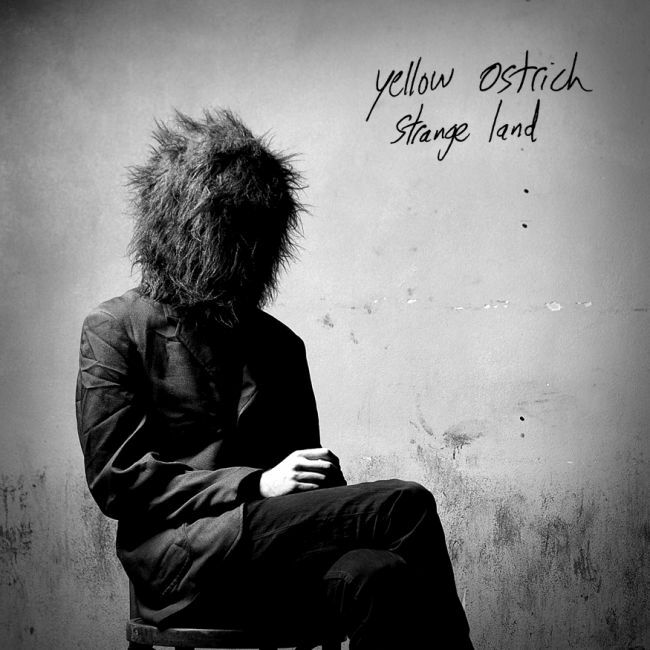 Another of my recent favorites, Yellow Ostrich released one of my 20 favorite albums last year and were definitely my favorite new discovery of the year. The album announcement seemed to come out of nowhere, especially coming on the heels of a re-release of the first album and all the buzz around that release. I had some concern approaching this released of how well Alex Schaapf would be able to retain his sound while expanding into a more fully-realized band, but the transition has been handled perfectly. It benefits from a larger band, but still has many of the elements that made his music so charming in the first place!